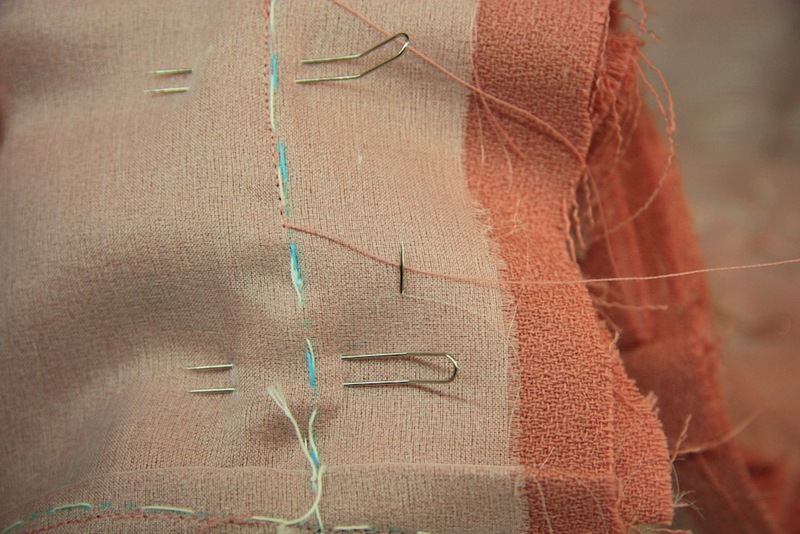 Ah, the last two days of the Couture Sewing School. Hard to accept that it was coming to an end, and struggling to keep the mojo up to get lots done. Which is currently holding nearly all my pins to ransom as I’ve yet to get past the align-and-cut phase. 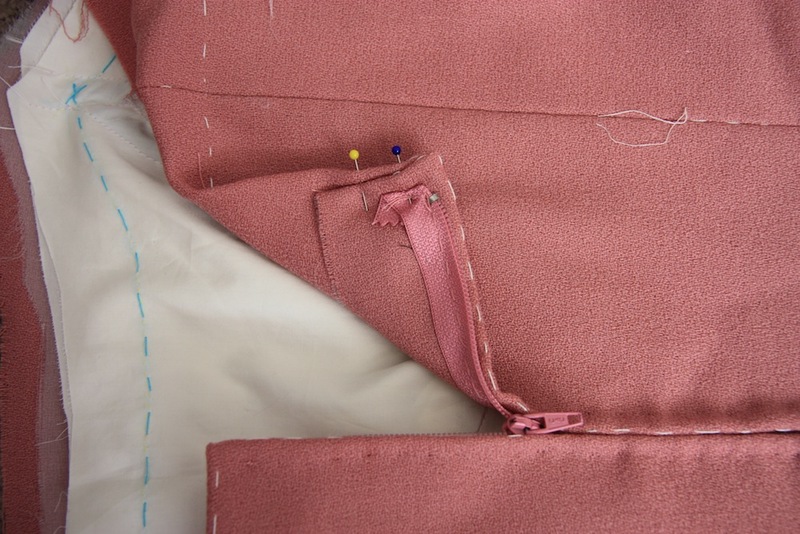 There’s the option to either thread trace the lining… or to use carbon paper to trace the outline onto (in a light colour) and get your sewing lined up perfectly so none of it shows through. Indecision rains! 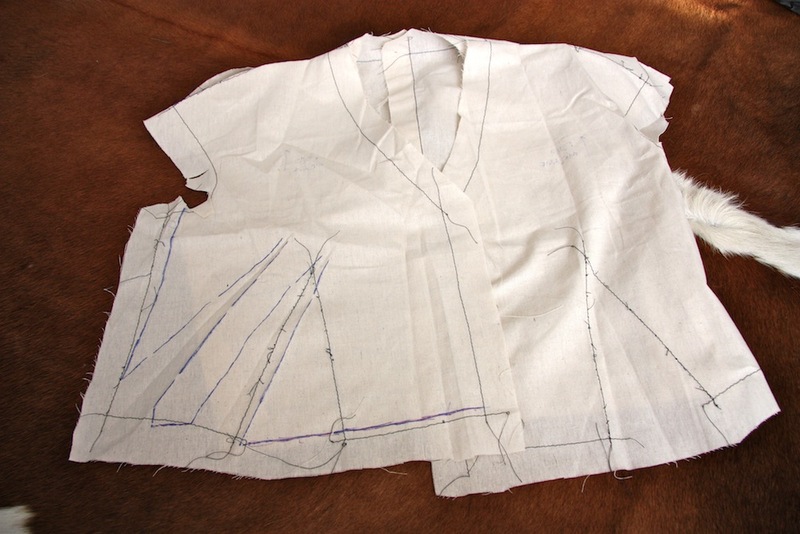 And lastly… I got the little overcoat fitted :) This is the part of the garment that would have been a lace overlay, but which I’m going to sew as a separate piece in this lovely mottled fabric. 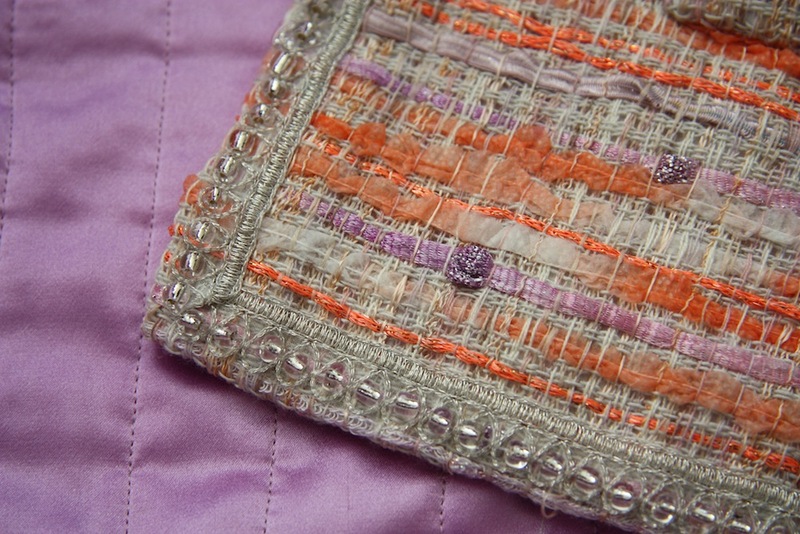 Had I made it in the macrame lace (as recommended), the darts would have been intentionally lost in the detail. To make a bit of a feature from them though, Susan converted them to two ‘french’ darts on the diagonal (in blue). It softens the shape and I really like the effect! By Saturday afternoon… people were leaving and there’s nothing I dislike more than having to say goodbye, especially to such wonderful, inspiring people! That dress is looking beautiful…can’t wait to see it on! Those pleats are looking divine. Wow wow wow. What a whirlwind two weeks of sewing. You made so much progress on two really fabulous garments. I can’t wait to see them finished! You have taught me a couple of things in this post thanks Melanie, that will really help with my detail to getting things lined up perfectly. Thanks once again, you are a treasure. Thanks Mel :) My pleasure! I agree, its awful saying goodbye…it was SUCH a fun week though! I am very jealous that you received this training face to face. 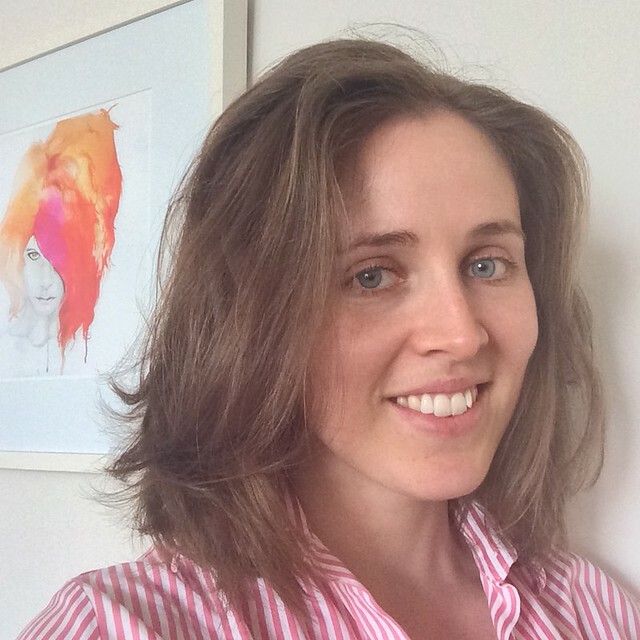 I’ve only been able to do online course – not the same. I think you might be surprised Gail – her online course is really very, very good. I’m very much hanging out for her to release the french jacket and little cocktail dress dvd’s – both will be absolute treasures. I got a lot of information from her Craftsy course – what you want her for in real life is the fitting know-how!! Beautiful details in your dress and and thank you for sharing all the wonderful detailed photos. You’re so very welcome Sharon :) Thanks! Oh. Your posts have been great to follow and learn from. You took in so much and shared this with us all. Thank you so much Mel. Oh, it got lost alright. I was running on fumes by the end of the last day, if that! A good sabbatical though and I’m stuck straight back into it. 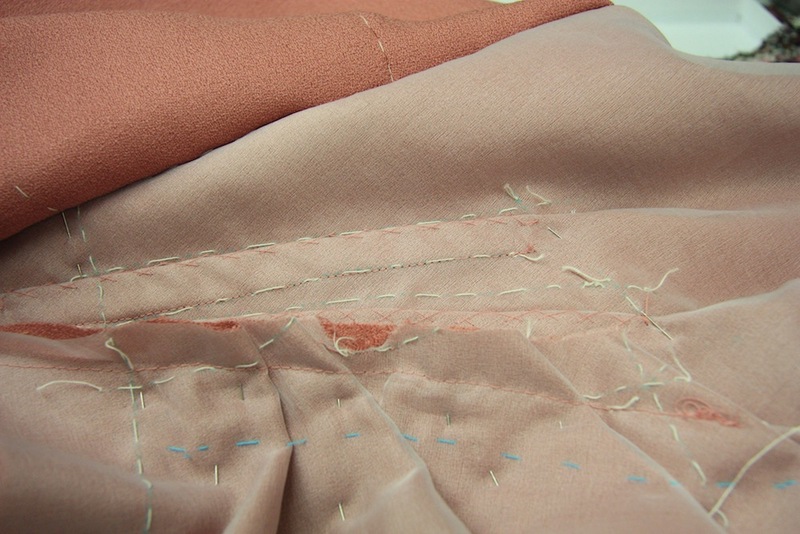 Strangely, hand sewing doesn’t fatigue me in the same way as garment construction does! 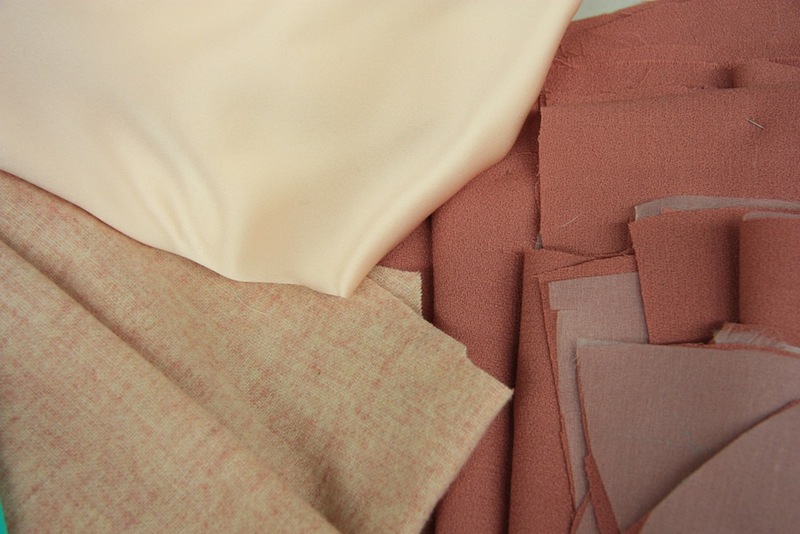 Wedding dress product has started! Woo! Gosh I can’t wait to see all the finished products. It is KILLING me having to wait, I just know they’re going to be amazing. 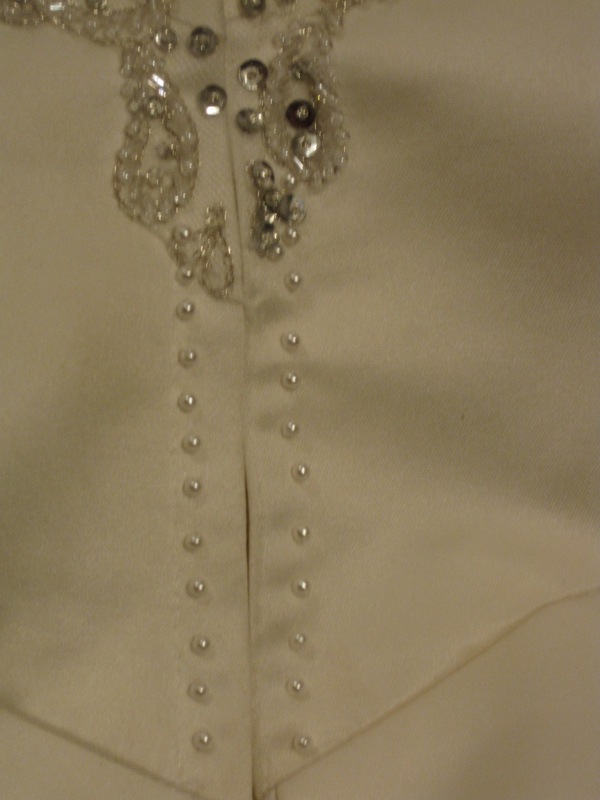 I like the idea of adding beading to a hand picked zipper! That may have just convinced me to give it a try as I too have been an invisible zipper girl. I discovered your blog just recently and have read every sinlge post..it is amazing what you are sewing and very inspiring for me. Lucky you to have the possibility to spend two weeks with Susan Khalje….I am just dreaming of it. Congratulations to your engagement also! Soon… :) It’s a loooong process! Thanks Liz! Thanks for sharing all this. We all get to learn a bit too. There is such amazing detail happening here- what a truly rad experience! And I must admit to being tam invisible zipper too. I know it seems like heresy buy I much prefer the look… We live on the edge, Mel! wooo team invisible zipper! I too much prefer the look… but it’s a subjective thing of course! These are so gorgeous, I’m really looking forward to see them finished. 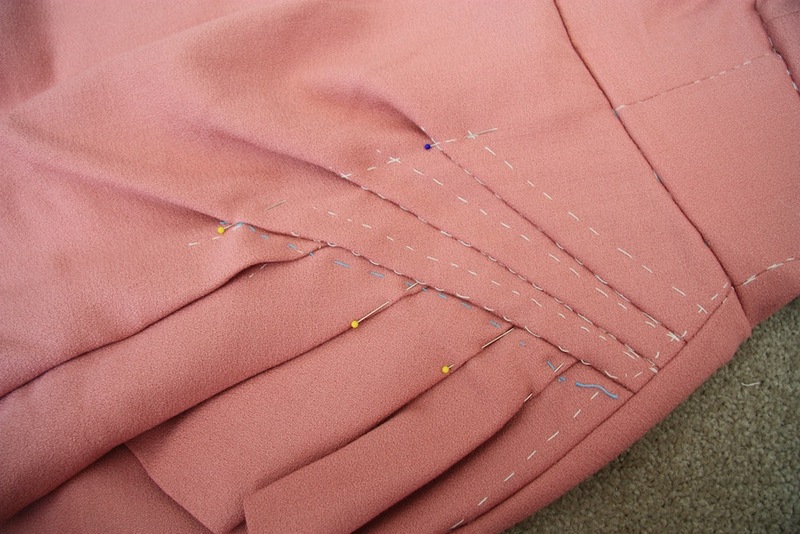 Love the pleats and all the hand sewing must have been huge! Wow. wowwowwow. So much to take in!! I’m so impressed with how much work and attention has gone into both of these garments. Both the dress (with accompanying jacket) and the French jacket will be such beautiful heirloom pieces you’ll want to hang onto forever. That’s just such a beautiful thing to me! Also… team invisible zip all the way! Another for Team Invisible zipper! woo! I just love the clean lines of them :) Thanks Sallie! This is coming together so nicely!! I can’t wait to see it finished!! It is such a tease seeing bits of it!!! I loved reading about your experiences in these courses! Such fascinating methods, for sure. What lovely and rich life experience this must have been. 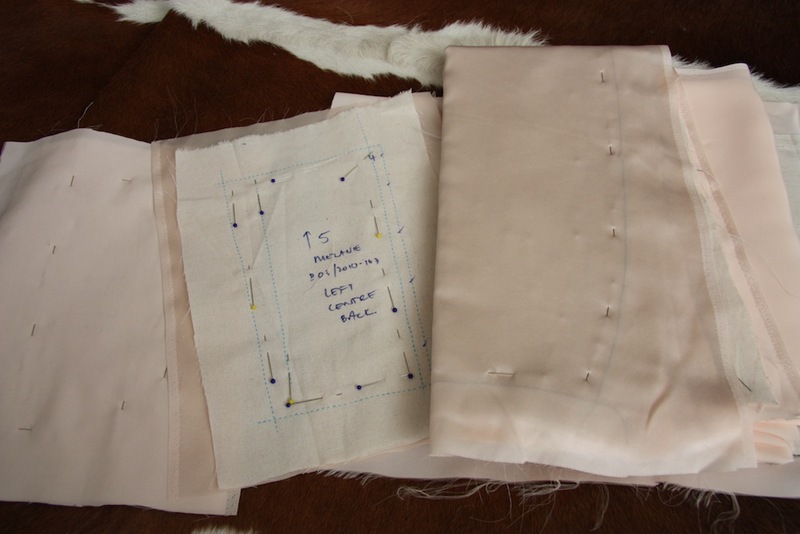 And hand-stitching in the lobby together as homework–love that! Really looking forward to seeing your French jacket. 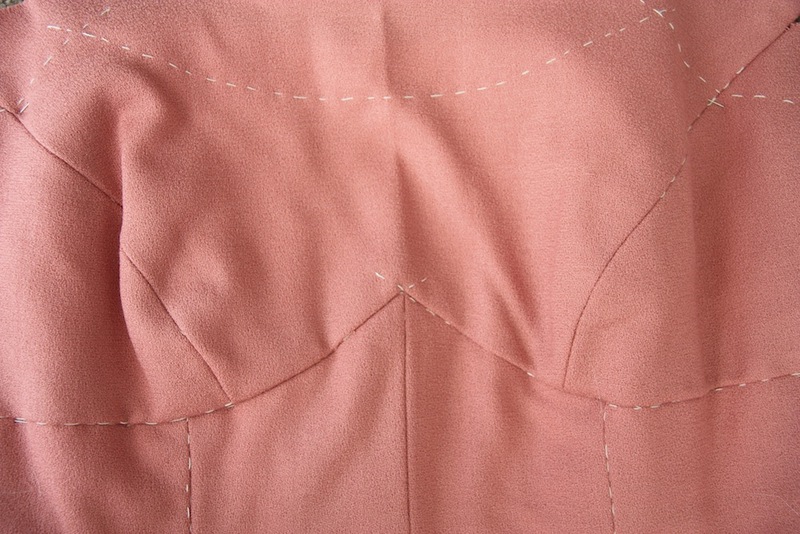 The lines on your bodice and your pleating look exquisite. Can’t wait to see it finished.